So whereas our normal fee will reflect the scale that we work to, we charge additionally for the “abnormal” factors, which increase the amount of work that we carry out. Leasehold property is essentially more complicated as we need to be concerned with the terms of the lease, any requirements for a management pack, service charges and accounts, ground rent provisions, insurance arrangements. In particular we also need from time to time to have regard to the requirements of the Council of Mortgage Lenders. Our task will be to coordinate the conveyancing process in accordance with your instructions, to investigate the title of the seller(s), to ensure that you have proper funding in place for your purchase, to generally report to you and to your lender. When by reason of the nature of the transaction there is additional “abnormal” work to carry out, we will advise you as to the additional fees that we will need to charge. Those additional fees will take into account the experience of the fee earner, the time to be taken, and any particular issues, which may affect the cost to us of carrying out the transaction. How long it will take from your offer being accepted until you can move into your house will depend on a number of factors. The average process takes between two to three months. It can be quicker or slower depending on the parties in the chain for example whether you have agreed a mortgage in principle or if you are buying a leasehold property that requires an extension of the lease. Our Conveyancing Team strives to provide a positive experience for Clients when dealing with either the sale or purchase of properties. We provide services on a “one to one” basis, and YOU WILL NOT BE DEALING WITH A PANEL OF UNKNOWN INDIVIDUALS. Gwyneth Jones is the Head of the Conveyancing Department and deals with conveyancing from our Weybridge and London offices. Isobel MacDonald is based in our London office. Doreen Burton is based within our Hook office. Rosanna Leist is based in our Fleet office. Bridie Green is based in our Fleet office. Robert Habbitts works from our Odiham and Hartley Witney offices. David Pitt is based in our Basingstoke office. Polly Ashurst is based in our Basingstoke office. Emily Hale is based in our Leigh-on-Sea office. Please refer to “Our People” for further information as to each person’s experience and background. 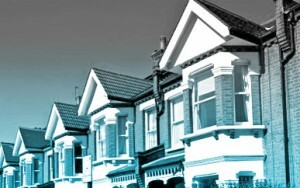 Our fees cover all the work required to complete the sale of your property. There will also be additional costs in relation to your matter that are payable to third parties such as Land Registry fees which are commonly referred to as disbursements. We handle the payment of the disbursements on your behalf to ensure a smoother process. As regards the sale of a freehold property the only disbursements which commonly arise are the costs of obtaining copies of your title from the Land Registry which is £6.00. Should there be any additional documents which are referred to within the title we will also need to obtain copies of those documents and the cost is £3.00 for each document. We are unable to advise as to whether or not there would be any further disbursements payable until we have had sight of the title itself. For instance, if the property is on an estate which has common areas and you pay a service charge, there may be fees payable to a management company for information to be provided. Our fees cover all of the work required to complete the sale of your current property . The work involved in the sale of a leasehold property is greater than the sale of a freehold property. If you also own a share of the freehold interest an additional fee of £250.00 plus VAT will be charged as there will be additional work involved. As regards the sale of a leasehold property the costs which commonly arise are the costs of obtaining copies of your title from the Land Registry which is £6.00. Should there be any additional documents which are referred to within the title we will also need to obtain copies of those documents and the cost is £3.00 for each document. We would also need to obtain a copy of the Lease relating to the Property and the Land Registry fee is £3.00 . We are unable to advise as to whether or not there would be any additional disbursements payable until we have had sight of the title itself. When dealing with the sale of a leasehold property it will also be necessary to provide a Freeholder Information Pack from the Freeholders or the Managing Agents who will charge a fee for supplying such information. Unfortunately we are unable to advise as to the level of such fee as there is no standard fee. It will vary and can be as little as a £100.00 or as much as £500.00. If there are separate agents acting for the Freeholder and for the Managing Agents, two fees may be payable. All our fees cover all of the work required to complete the purchase of your new home, including dealing with registration at the Land Registry and dealing with the payment of Stamp Duty Land Tax (Stamp Duty) if the property is in England, or Land Transaction Tax (Land Tax if the property you wish to buy is in Wales. Disbursements are costs related to your matter that are payable to third parties such as Land Registry fees. We handle the payment of the disbursements on your behalf to ensure a smoother process. This depends on the purchase price of your property. You can calculate the amount you will need to pay by using HMRC’s website if the property is in England or if the property is located in Wales by using the Welsh Revenue Authority’s website. All our fees cover all of the work required to complete the purchase of your new home, including dealing with registration at the Land Registry and dealing with the payment of Stamp Duty Land Tax (Stamp Duty) if the property is in England, or Land Transaction Tax (Land Tax) if the property you wish to buy is in Wales. Notice of Transfer fee. This fee chargeable is set out in the lease or provided by the Freeholder. Often the fee is between £50.00 and £300.00 plus VAT. Notice of Charge fee (if the property is to be mortgaged). This will be the same fee as charged for the notice of Transfer fee. Deed of Covenant fee – this fee is provided by the Freeholder/Management Company for the property and can be difficult to estimate. Often it is between £100.00 and £250.00. Certificate of Compliance fee –this fee is again provided by the Freeholder/Management Company and can be from £100.00 to £250.00. These fees vary from property to property and can on occasion be significantly more than the ranges given above. We can give you an accurate figure once we have had sight of the specific documents. You should also be aware that ground rent and service charges are likely to apply throughout your ownership of the property. We will confirm the ground rent and the anticipated service charge as soon as we have this information. Our fees cover all the work required to complete the mortgage/re-mortgage of your property. We will need to obtain a copy of your file from the Land Registry which is £6.00. Should there be any additional documents which are referred to within the title we will also need to obtain copies of those documents and the cost if £3.00 for each document.